This is a sponsored post written by me on behalf of Clif Bar & Company. All opinions are 100% mine. Before I became a mom, I never paid much attention to the ingredients in the food products I ate. If I did check out a label on packaged food, it was typically just to look at calories and fat grams. I rarely even glanced at the “ingredients” category. That changed when I became pregnant. 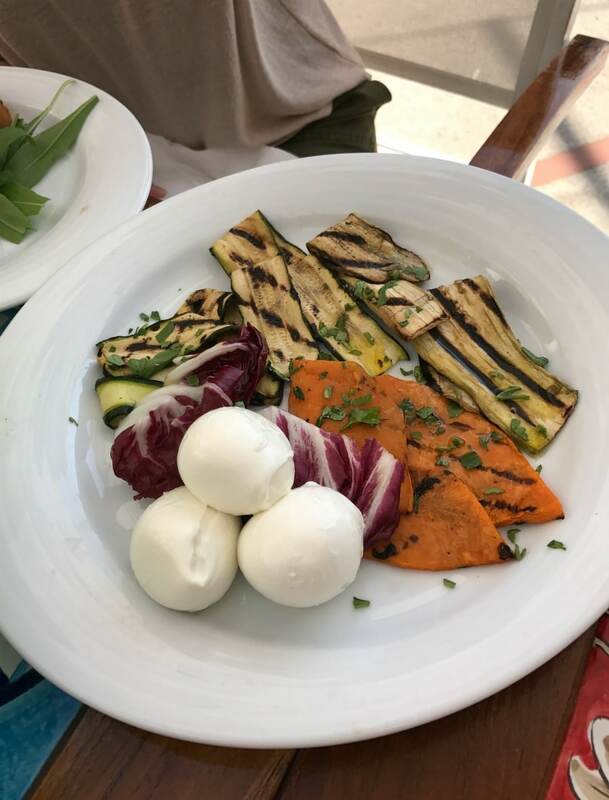 I started to be concerned about what exactly I was putting into my body, since that food would also be nourishing the body of my unborn child. And when my first baby was diagnosed with a severe dairy allergy at six months old, I took my label reading to a new level. I had to make sure that nothing she ate contained even a tiny trace of dairy, which meant scouring every package at the store before adding anything to my cart. Reading so many food labels for so many years really opened my eyes to what is (and isn’t) in many of our food products. I became much more vigilant about the quality of the food I was buying, eating, and serving to my family. But like many people, I often find navigating the world of organics, GMOs and food labeling regulations a little overwhelming. Sometimes finding the “right” foods can feel like a daunting task, especially when so much misinformation is passed around. Thanks to Kate, I was able to get some of my questions answered with regard to GMOs. What exactly is a GMO? GMO stands for “Genetically Modified Organism.” It is a plant or vegetable substance created in a laboratory setting by creating combinations of genes that cannot occur in nature or be bred by traditional methods of plant breeding. Why do companies use GMOs in food products? Companies typically choose to genetically modify a food product in order to have it withstand pesticides or produce its own pesticide. How prevalent are GMOs? It’s estimated that GMOs are present in approximately 70% of processed foods in supermarkets. What’s so bad about GMOs? Studies show that GMO crops lead to the increased use of toxic chemicals, herbicides and pesticides in conventional farming. These toxins have been linked to birth defects, nerve damage, and cancer. Toxic chemicals also pollute our waterways and air. What can we do? Become a label reader. When you take the time to compare products before you buy, you’ll have a greater understanding of what differentiates an organic, non-GMO product from others. Even two jars of pasta sauce that look and taste similar can have drastically different ingredients. GMO labeling regulations can vary from state to state, so check the laws in your particular state to learn what is/isn’t required to be labeled. Also look for the “Non-GMO” label on food products you buy. 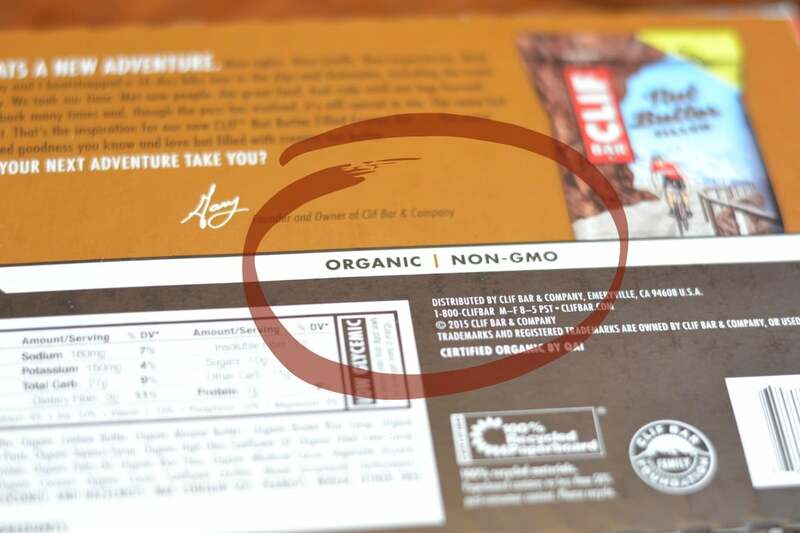 CLIF is one company that continues to be a leader in organics and Non-GMO through their products. Their new Nut Butter Filled Bar is a great way to get sustained energy, nutrients and protein without resorting to GMO-laden foods. These bars are USDA Organic, Non-GMO, low glycemic, and made with delicious, creamy peanut, hazelnut, and almond butters. 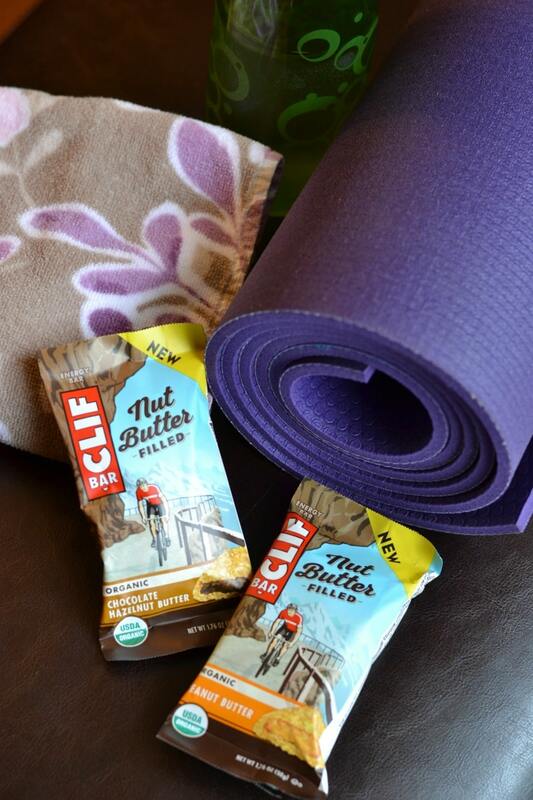 I like to carry a Clif Bar in my car or purse to eat after a yoga or barre workout, or whenever I have a long day of activities planned. It’s nice to have something tasty and protein-dense that is also made with high quality ingredients. I will never proclaim to be a “perfect” eater or shopper, but I will continue to seek out accurate information about food, and to purchase non-GMO foods for my family as much as I can. It’s nice to know that there are people like Kate and companies like CLIF who make that a little bit easier. 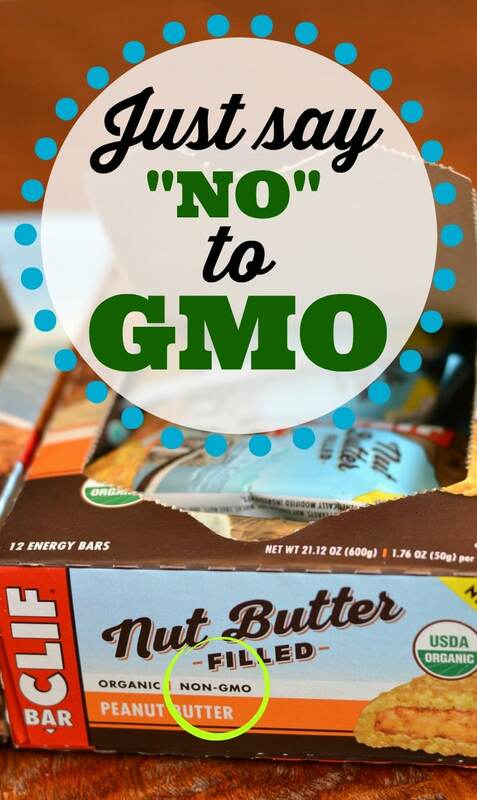 Want to learn more about Non GMO?